We have found that the best way to really learn anything is to surround yourself with interesting people and to listen to them. We are starting our new series “Coffee with…” with just that in mind. 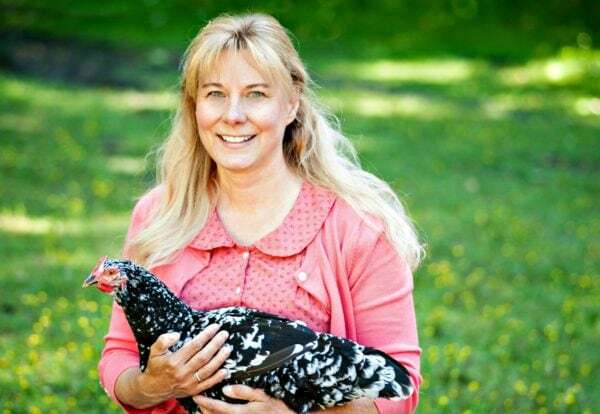 To kick off this new series we have “Coffee with: Lisa Steele of Fresh Eggs Daily.” Lisa is a master gardener, a fifth-generation chicken keeper, author, and TV host, WOW. She is an inspiring lady and modern pioneer who has turned her passions into a career, building a lasting brand and loyal following. 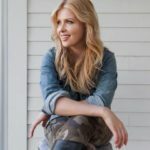 Lisa allowed us to pick her brain and take a peek at what really keeps her ticking, shedding light on what exactly took her from blog to full-blown lifestyle brand. I think what I love most about what I do is that each day is so different. One day I might have a phone call with my editor to choose a title or cover for my book, another day the film crew might be here to shoot an episode of my TV show. Other days, I am sending out invoices to my sponsors or might be writing a blog post or tweaking my website. Some days I’m packaging and shipping orders out from my Etsy shop or might have a photo shoot scheduled for a magazine spread. Other days might be devoted to cleaning the chicken coop or weeding the garden. There really is no “typical” day. But I do try to stick to regular “business” hours and pretty much take weekends and evenings off, although I do often end up sitting on the couch after dinner answering email or editing photos for a future blog post. When you raise animals, you do find yourself falling into a routine – and its usually based on sunrise and sunset instead of the actual time according to the clock. I wake up at sunrise to let the chickens out. This time of year that’s around 7 am. I roll out of bed and ssssh….pull on a pair of rubber boots and my jacket over my jammies and head out to the coop. I fill water tubs, ration out feed and freshen the nesting boxes if they need it. Then I head back to the house for my first cup of coffee for the day. I check my email and post my first post of the day on Instagram, Facebook, and Twitter. Midmorning I head back to the coop and check for eggs and then shower and get started on whatever I have planned for the day. My very first job out of college was night auditor for a major hotel chain. I only lasted two weeks before I realized that I wasn’t cut out for waking up at 10 pm to go to work. My next job was in the accounting department for a furniture store. I lasted there for a year before I left to move to New York with a car full of furniture I had bought at cost. After working on Wall Street for almost ten years, I quit the rat race and opened a bookstore which I ran until I got married. How did you make the transition to building a lifestyle brand? My husband was in the Navy, which meant moving around and giving up both my bookstore and any opportunity to have a meaningful career. I was home, a little bit bored, and found myself raising chickens (I wanted goats, my husband counter-offered with chickens, and the rest is history). My husband managed an IT department and one of the women who worked for him offered to set up a blog for me just to give me something to do. When you set out, did you have any strategies for growing such a loyal large audience or was it totally unexpected? 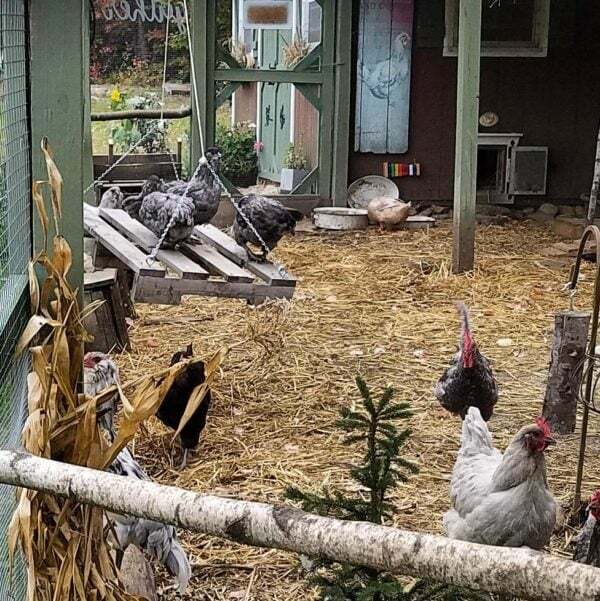 I started writing about chickens and sharing advice and realized that I had retained and learned a bit more than I realized from growing up with chickens of my own, living across the street from my grandparents chicken farm. I really never set out to create a “brand” or even any kind of following. 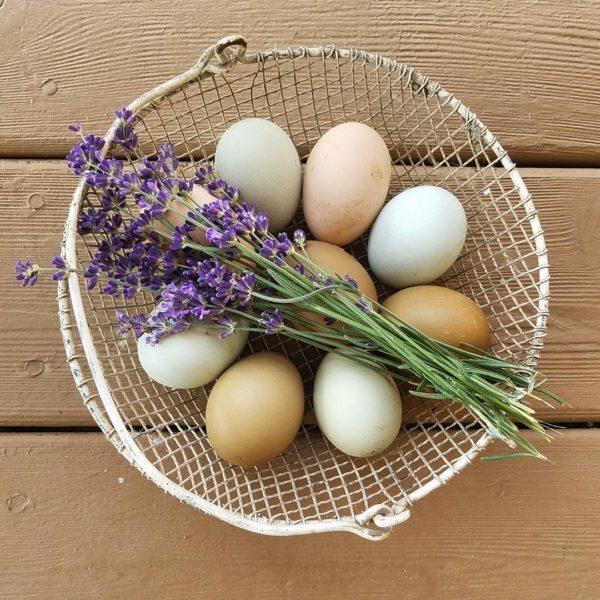 When I started my blog, there wasn’t too much information online about raising backyard chickens, so I think I was in the right place at the right time with the right message. That was the key to my success I think. 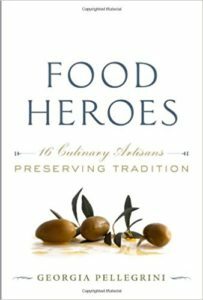 People who start raising chickens are doing it for several reasons, one of which the desire to provide healthy food for their family, so raising chickens naturally and using herbs and other natural methods really spoke to them. From the beginning, I have worked to bring back some old-timers methods and encourage my readers to put down the chemicals and commercial products. Time and time again I am told that what really stands out is my passion and the genuine feel to my posts, articles, and books. That’s what readers respond to. What are some of the best lessons you’ve learned about running your own brand? I think the most important lesson I’ve learned is that giving up too much control too early on, I would have lost my “voice.” I think there will come a time when I will need a team to help me manage all the facets of what I do, but for now, because every post on all my social media platforms are written by me, as well as every blog post, there’s a certain consistency and authentic feel to it. Consistency is key. I see so many bloggers who use one name on Facebook, another on Twitter, something different as the name of their website and they don’t have a cohesive look and feel to their branding or logo on the different platforms. A reader needs to know immediately when they stumble across my Twitter feed that it’s the same person who they follow on Instagram for example. Another important lesson I’ve learned is that you know you’re successful when you have haters. There are those who seem to take delight in knocking others’ success. There is actually a facebook page devoted to bashing me. But since it only has 800 members, clearly there are more who enjoy what I do than who don’t! You’re a prolific author! What was your inspiration for writing your latest book? I actually have two books coming out in 2018. I’m really excited about both. The first is a children’s book called Let’s Hatch Chicks! From way back in my bookstore owner days, I had a dream to someday write a kids book. As the child of two teachers, I was encouraged to read, and my Mom took my brother and me to the local library on a regular basis. I have always loved books and kids books in particular. It was so exciting to see photos of my own chickens and coop that I provided to the illustrator turned into beautiful illustrations for the book. Writing a children’s book is very much different than writing an adult book. Instead of being very text-heavy and challenging in that way, scaling the text in kids book down to the appropriate age level was the most difficult part for me. I remember my editor emailed me saying, “You can NOT use the word biosecurity”… The second book is a DIY book which I am still working on. 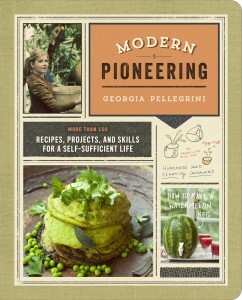 That book has been such a blast to write because I love repurposing and building stuff. Our whole garage is full of projects that I’ve built over the last few months. Describe your book writing process, are you very structured and disciplined or do you write when you’re in the mood? I am very much a procrastinator and work best on a tight deadline. So I sort of write when I’m in the mood for a few months and then have to scramble as the deadline looms. I think that anyone who is self-employed has to have a fair amount of discipline since we don’t have a boss structuring our days, but I do know that I need deadlines in order to get really motivated. Post-its. They’re the greatest invention ever. I write stuff on post-its and stick them everywhere. I’m actually reading a few books right now. 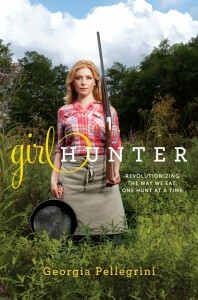 A cookbook called Southern Girl Meets Vegetarian Boy by Damaris Phillips, who I met incidentally last month out in California when we appeared together on the Hallmark channel, The Grumpy Gardener by Steve Bender, a writer for Southern Living, and then I always read fiction before bed to relax. I’m just finishing up the latest novel by fellow Mainer Paul Doiron called Knife Creek which features fictional Maine game warden Mike Bowditch. Definitely morning, but only because of coffee. How do you take your eggs? Ha! Benedict style. Mastering the perfect Hollandaise sauce has been a side benefit to raising chickens. My mom has taught me to believe that I can do anything I put my mind to. Having a supportive parent who is always there when I have needed any advice of any kind is priceless. She was a single mom for much of my childhood and she taught me to change a car tire, plant trees, just really be self-sufficient. What is the one thing you wish you knew when you first started blogging? I wish I had known earlier about just how much money you can make from sponsors and ad networks and that sort of thing. I didn’t go into it anticipating turning my blogging into a business, so I was sort of cavalier about it in the beginning. I go back to some of my early blog posts and just cringe. I would have been more professional from the start, taking better photos, linking to affiliate products, that sort of thing. Oh, and I wish I had also known what SEO was. I only recently learned about that! What advice would you give a young person starting out with visions of blazing their own entrepreneurial trail? Exactly that. Blaze your own trail. Don’t try to imitate someone else’s success. What worked for me six years ago wouldn’t even necessarily work for me today. Be passionate, follow your heart, and jump in with both feet. Commit yourself 100% to your dream, or it will only always be that. A dream. Make it a reality. Right now I really love filming my TV show. It’s just a local show here in Maine, but I really enjoy the whole process and love reaching a whole new audience to get them excited about raising backyard chickens. You can find Lisa on her blog HERE and also on social media. 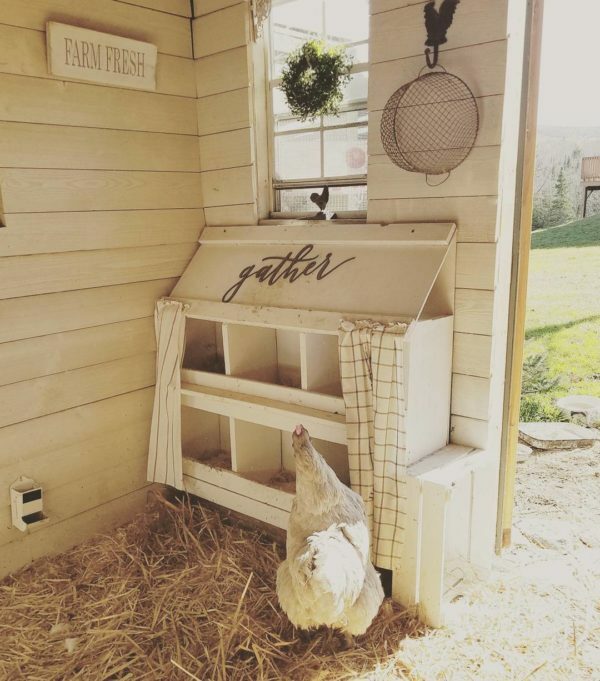 If you’ve ever thought about starting your own coop her feed will definitely have you convinced you should.